Are you a busy Mom or a harried business owner that is taking care of everyone else before you meet your own needs? Are your dreams sitting on a shelf because you are so busy rushing around trying to take care of your family and keep your boss happy. Have your sales and other accomplishments fallen short this year of what you hoped to achieve? Stop making excuses. Don’t be addicted to getting things done for everyone and everything. Learn how to put yourself on the schedule. Put your dreams on your to-do list. Find out how to get clear on what you really want and create a plan to achieve your dreams. Don’t wait. 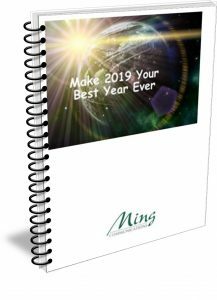 Grab your free copy of “Make 2019 the Best Year Ever,” so you can start making progress on your dreams. We will not share your information with anyone.